England players have not covered themselves in glory during the Australian tour. They were unable to salvage any pride individually or collectively during the five match series so much was expected when the sides put their coloured clothes on for the one day series. 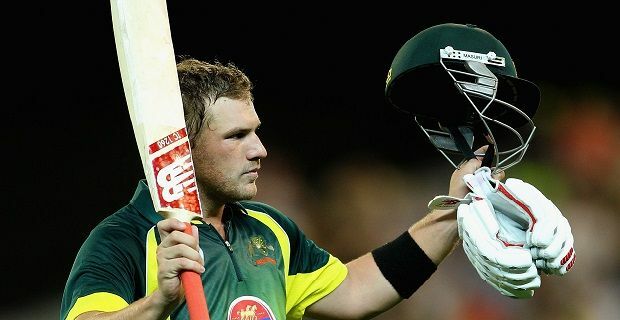 Unfortunately a ton from Aaron Finch, only his second in one day internationals, helped the home side to an easy victory and condemned England to their sixth defeat in a row. England’s 269 for 7 seemed a decent score given the conditions at the MCG but Australia made light work of the total to win with 26 balls remaining. The home side’s first wicket partnership of 163 should have been ended far earlier but if there had been any neutrals in the crowd, they like the home supporters, would have been impressed with Finch’s knock. He was eventually caught by Gary Ballance after scoring 121 runs from 128 deliveries. Ballance could have been a hero had he caught Finch when he had only made 8 runs, but he missed a pretty simple chance at mid-off. Ballance whose only test cap came against Australia during this Ashes series, was one of many inexperienced players on the field. Across both sides, 10 of the 22 players featured in the opening ODI didn’t play in the Ashes series. England fans shouldn’t look to that as an excuse for the failure as there were plenty of experienced players on the field for the tourists including Alastair Cook, Ian Bell and Joe Root. Australia were just too good and England were pretty poor. Dropped catches, fielding mistakes and misuse of the decision review system cost them the match. England had a few decent moments like Ballance’s 79 and Eoin Morgan’s half century that anchored the innings, but both knocks needed support from decent innings from the top order players.